2nd Sunday Family Funday: Masterpieces with Mom! Suite 200, 3333 North MacArthur Blvd. Irving Arts Center offers the perfect framework for adults and children to experience art together. Second Sunday Family Fundays hands-on art days give parents and children projects they can co-create, far from daily distractions. Find inspiration in the gallery exhibitions, holidays and seasons as families make art, friends and fun. And the best part? It’s FREE! Main and Focus Galleries, 3333 North MacArthur Blvd. Annual showcase of artwork by Irving ISD students, K-12. 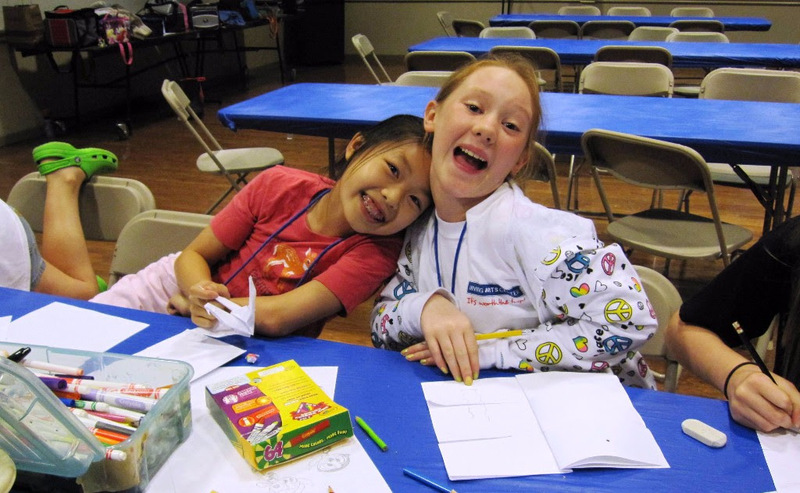 Register Today for Summer Art Camps! Buckle Up and Register for Summer Camp! 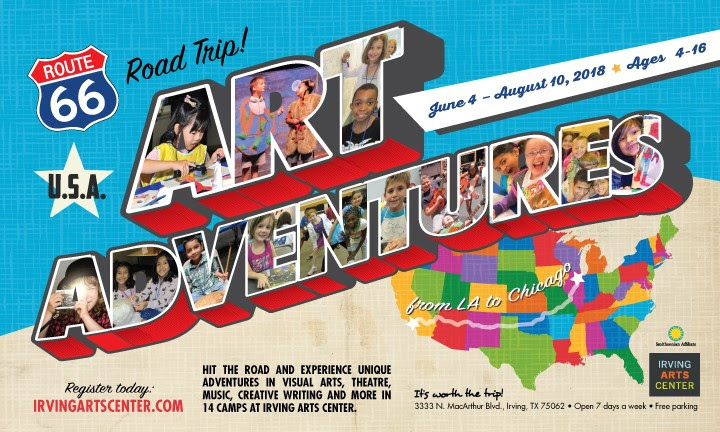 Offered weekly from June 4 through August 10, Irving Arts Center has a full slate of summer art adventure camps for ages 4-16. This year’s Route 66-inspired theme promises the thrill of an epic road trip adventure (while parked). Traveling down famed route 66, itineraries will include adventures in visual arts, music, creative writing and much more! 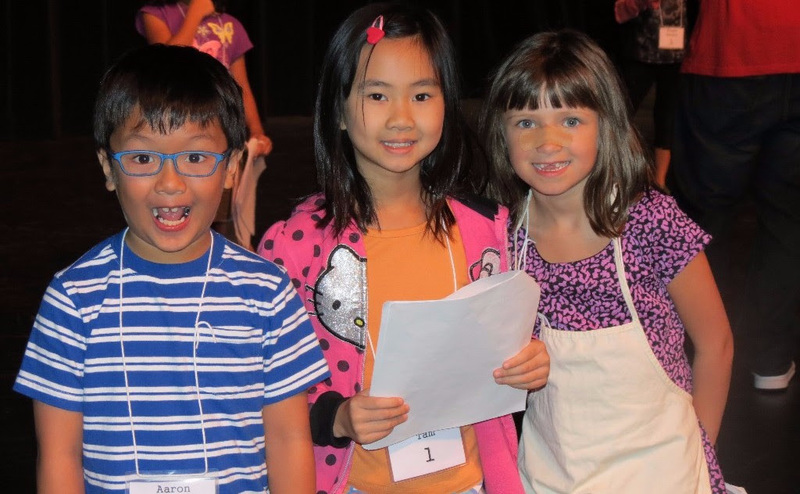 Taught by professional art educators, Irving Arts Center’s summer camps are chocked full of classes in the visual, literary and performing arts. There’s absolutely something for everyone. So buckle up… Registration is now open! *Discounted registration is available to Smithsonian level and above Art Connection members. Please call 972.252.2787 to received discounted registration.